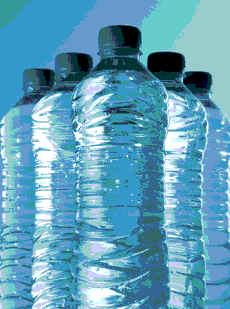 The water bottling company went down just hours after receiving a long-awaited water extraction licence. NT Beverages, which produces Akuna Blue and Akuna Springs bottled water, received $10 million from the publicly funded Infrastructure Development Fund earlier this year, before the fund was abolished. The decision was controversial because the company was granted the money before it had been awarded a water extraction licence by the NT's water controller. NT Beverages was finally granted the licence last Thursday, but not soon enough to prevent it entering into voluntary administration. The company claimed it had the capacity to produce 96,00 litres of beverages a day, but was later found to have misrepresented the source and quality of the water on its website. NT Beverages also set up what it called a charitable foundation, but ASIC found it made no charitable donations. The company also alleged to have used public funds to pay its employees’ superannuation. NT Treasurer Nicole Manison would not comment on NT Beverages' situation when asked this week.